How much clearance should be left between the wall and flooring generally coincides with the thickness of the flooring material. Typically, 3/4 in. of lateral movement is enough to pull the fasteners from the subfloor, so the National Wood Flooring Association (NWFA), the Wood Flooring Manufacturers Association (WFMA), and most manufacturers require a 3/4-in. expansion gap left in all vertical obstructions when installing 3/4-in.-thick solid wood flooring. 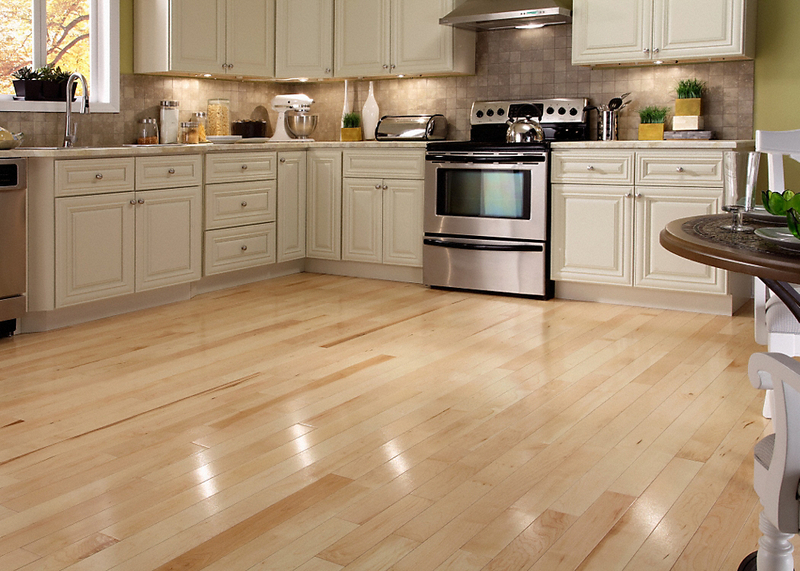 This is a safe and simple rule across the grain, though it is a little conservative along the length of the flooring. For example, a 20-ft.-long, 3/4-in.-thick solid flooring board is able to change by only about !/4 in. over its length. Someday the expansion gap requirement may be updated to take into consideration that solid wood flooring does not expand the same amount in every direction. Because fasteners penetrate the tongue of the flooring at an angle, they act like tent stakes and resist a great deal of force in the direction the fastener enters the subfloor. Less force from the opposite direction is necessary to pull the fastener out of the subfloor. For this reason, wood flooring has a tendency to expand mainly in the direction the tongue is facing. In rooms wider than 20 ft., this one-directional movement can cause a problem on the side of the room in which the flooring expands. Starting the installation in the center of large rooms can reduce these potential problems by forcing the expansion to go in two directions. Since the tongues on either side of the room face different ways, the floor will still expand the same amount, but instead of all the growth focusing on one side, half will go to the opposite side.